I am sharing my perspective on behalf of Special Frontier Force with which I maintain lifetime affiliation apart from my military service at Establishment No. 22 from September 1971 to December 1974. I often describe myself as Doom Dooma Doomsayer and describe Doomed American China Fantasy as ‘Doomed Gun of Doom Dooma’. My journey to Doom Dooma, Tinsukia District, Assam started in Mylapore, Madras or Chennai and I describe it as Kasturi-Sarvepalli-Madras-India-Tibet-US Connection. On my maternal side, I am related to Dr. Sarvepalli Radhakrishnan who served as first Vice President of India for two consecutive terms(1952-62) and as second President of India from 1962-67. 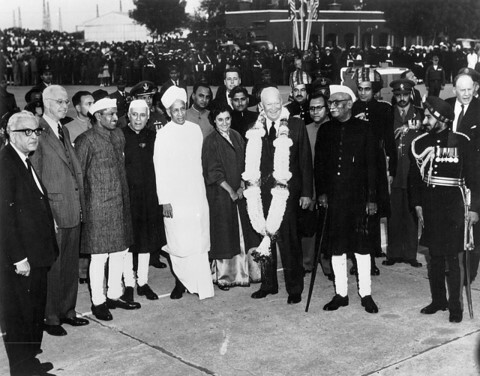 Most political analysts recognize Dr Radhakrishnan as a philosopher and give him no credit for his role as India’s diplomat during The Cold War Era. In my analysis, I describe Special Frontier Force as military organization that symbolizes military treaty or military pact between Tibet, India, and the US. Both India, and the US recognize His Holiness the 14th Dalai Lama as the Supreme Ruler of Tibet and hence he is in a position to enter into agreements with other nations. Due to Cold War Era secret diplomacy, the agreement between Tibet, India, and the US remains as a secret while China could easily expose its true purpose and mission. For China knows the secret, I want to affirm that our military mission is that of securing Freedom, Democracy, Peace, and Justice in Occupied Tibet. The Dalai Lama Institution of Tibetan Government for all practical purposes represents Tibetan Right to Self-Governance, and can be called Tibetan Democratic way of life. I am indeed sad, disappointed, frustrated, disenchanted by Trump presidency and there is no excuse for not agreeing for Trump-Dalai Lama meeting at The White House. Trump’s America or Americans First Policy goes against American values of celebrating Freedom, Democracy, Peace, and Human Rights. President Trump has to know that The Cold War in Asia is not over. 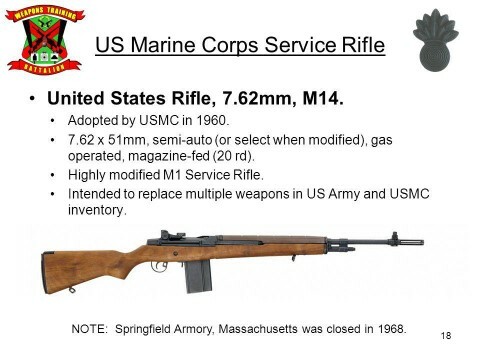 Americans fought bloody battles in Korea and Vietnam. Those wars do not represent warfare against Koreans or Vietnamese people. 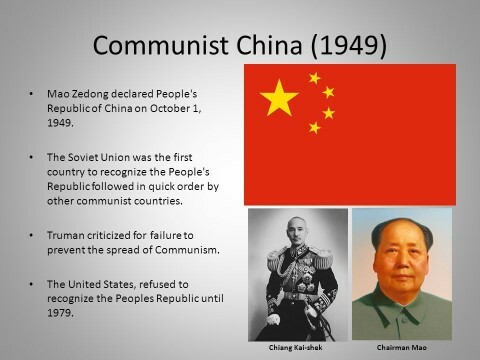 Those military conflicts represent the policy of engagement to confront, and contain and even neutralize the security threat posed by Communism. 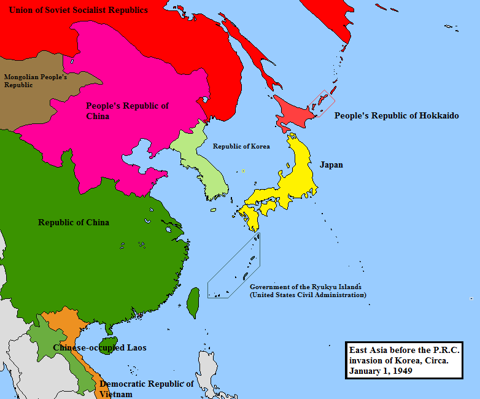 China’s One-Party governance or Communism remains a regional as well as global threat to Freedom, Democracy, Peace, and Human Rights. USA has no choice and has to choose its partners or allies to resist the danger of Communism. Is India bracing for the potential fallout? The impact of the 19th Communist Party of China congress and affirmation of President Xi Jinping as China’s ‘most powerful’ leader in decades seems already to be having a bearing on India – especially on the ‘Tibet Issue’ that deeply intersects with the boundary problem. Is India bracing for the potential fallout? There may be more to the Dalai Lama’s desire to return home than meets the eye. 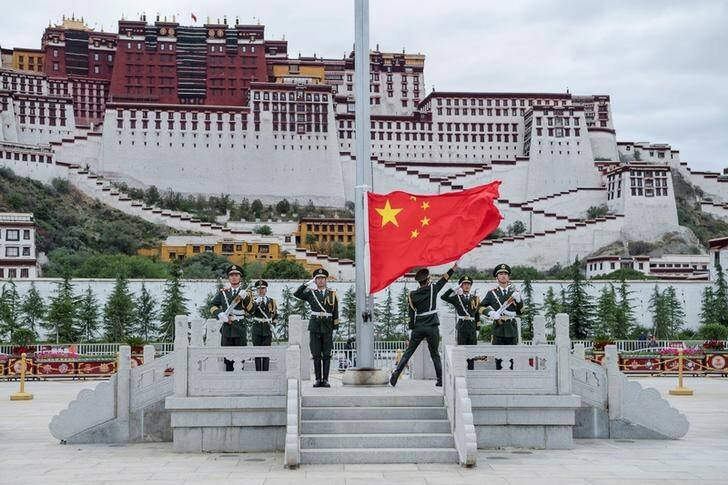 The Tibetan leader’s November 23 statement – “The past is past, Tibetans want to stay with China” – carries a serious political overtone, coming as it does immediately after the 19th party congress and the Doklam standoff between India and China. The Dalai Lama’s statement that he is “not seeking independence for Tibet and wishing to stay with China” is not new; however, his declaration that “he would return to Tibet at once, if China agrees” has sparked fresh speculation of a possible rapprochement with Beijing. The sign of rapid thawing strangely comes on the heels of President Donald Trump’s recent visit to Beijing. Most likely, Trump wouldn’t have made Tibet a pressure point in his dealings with Beijing; rather he would have dumped the Dalai Lama (whom the US fostered for over half a century) on the altar of a better trade deal and for securing China’s commitment to exert more pressure on North Korea. During the trip US officials made to Dharamsala prior to Trump’s visit, this prospect would probably have been discussed. The inevitability of this change was clear when the US had started faltering on Tibet even earlier, when Barack Obama had to welcome the Dalai Lama through the back door of the White House, signaling Washington’s inability to withstand Beijing’s pressure. Trump was not even inclined to embrace the issue, as he refused to meet the Tibetan leader and instead proposed zero aid in 2018 to the Tibetans, reversing the decades-old American policy. The State Department has also not appointed a special coordinator for Tibet. Surely it couldn’t have been a coincidence that a week after Trump’s China visit, the Dalai Lama abruptly selected two personal emissaries (for an indefinite period) to represent him in all ‘global engagements’. He has cited increasing physical fatigue, but the decision to appoint two “trusted friends” – former ‘prime minister-in-exile‘ Samdong Rinpoche and current president of the ‘government in exile’, Lobsang Sangay – was meant to send a calibrated signal to China. Anyway, the Dalai Lama has been working on a new plan – 5/50 vision – that envisaged a five-year strategy for returning to dialogue with China, but preparing for a 50-year struggle if needed – along the “hope for the best and prepare for the worst” proverb. The 5/50 strategy reaffirmed his middle way approach (Umaylam) as a realistic political means of realizing the dual aim of his early return to Tibet and fulfilling the aspirations of the Tibetan people. Appointing personal emissaries satisfies China. Beijing has been emphatically asking the Dalai Lama to stop travelling to Western capitals, if talks are to be resumed. At the 19th party congress, the Tibet Work Forum chief told reporters that international figures have no excuse for meeting with the Dalai Lama. Recently, the Dalai Lama even had to abort his planned visit to Botswana, citing physical “exhaustion”. Within this rapidly-unfolding scenario, the Dalai Lama appears to have sent Samdong on a discreet visit to Kunming (China). Samdong’s visit, starting from mid November, must have been facilitated by no less than You Quan – newly-appointed head of the United Front Work Department that overseas Tibetan affairs. You Quan, who formerly served as party secretary of Fujian, is a close associate of President Xi. He had earlier successfully dealt with Hong Kong, Macau and Taiwan’s business communities. Clearly, Samdong’s visit forms part of the first five-year plan to engage with China, while Lobsang Sangay’s 17-day tour to Europe and Canada is meant to sustain the struggle for the next 50 years, if the first plan fails. Will the talks succeed now? In the past, Chinese leaders stymied the Dalai Lama’s desire to return to Tibet. But there is a distinct possibility that it may bear fruit this time. First, Xi, widely known to have a soft spot for Tibet, hitherto kept his own approach close to his chest, fearing resistance from hardliners. Unlike others, he held the view that the prospects for solving the Tibet problem would peter out once the Dalai Lama is no more. Xi now finds himself in a perfect position to resolve the issue as no other Chinese leader could do in the past, for he also stands to gain personally both in political and moral terms, to become the most credible leader in China’s history. Second, the Dalai Lama too long hoped for Xi to change tack, as he hailed him as “realist” and “open-minded” in contrast to his predecessors. In fact, the Tibetan leader has admitted to having received positive signals from top Chinese officials, especially from the moderate elements as streams of Han Chinese flocked to meet him during Xi’s first term. In May this year, the party was shocked to find their own party members clandestinely funding the Dalai Lama. But, most critically, Tibetans living inside Tibet may have pressured the Dalai Lama to seize the opportunity and resolve differences during Xi’s second term, before the window for a deal closes a few years from now. With time running out fast, the Dalai Lama can be anything but hopeful. He has been steadily losing international support in the face of China’s rise as a world power. No longer does any country dare to receive the Dalai Lama officially. Apart from his own ageing, the Tibetan leader faces the challenge of keeping his flock together. For example, the delay in reaching a solution causes anxiety, uncertainty and division among his people. Even inside Tibet, rising frustration and hopelessness have been highlighted by people resorting to self-immolation. The number stands at 149 so far. And so, in what must be an embarrassing climb-down for the exiled Tibetan leaders, all they can do now is settle for the cause of “development”, besides hoping that the Chinese will not resort to repression of the Tibetan people. Therefore, in a way, we are likely witness the curtains finally being drawn on Tibet’s quest for an independent state. Tim Johnson knew this when he aptly titled his book Tragedy in Crimson: How the Dalai Lama Conquered the World but Lost the Battle with China. And finally, for India, the question is whether New Delhi has any role to play in this rapidly-evolving scene, and if so under what political parameters. There is no sign of anyone having even considered the impact of this. But to be cautious, any Sino-Tibetan deal would seriously risk undercutting India’s position on the boundary dispute with China. Seemingly fretful about impending developments, the Dalai Lama now finds himself walking a political tightrope by espousing reconciliation between India and China, “living peacefully by putting the differences aside”. He maintained a hands-off position and tried not to get drawn even into the Doklam standoff – instead calling for a peaceful solution. One hopes he is successful this time. P. Stobdan, a former Indian ambassador, specializes in Chinese, Tibetan, Mongolian and Uighur affairs.